√ The focus is on fairness, equality and inclusion. √ Children’s communication and listening skills are developed. 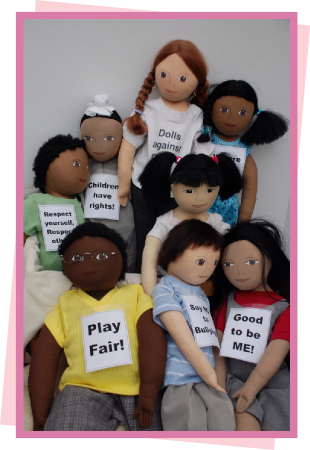 √ Persona Doll stories encourage empathy, critical thinking & problem solving. √ The Dolls are tools for implementing ‘British’ values and the Prevent Duty. To watch this trailer, click on the small white arrow. * Click here to order a copy of the DVD.